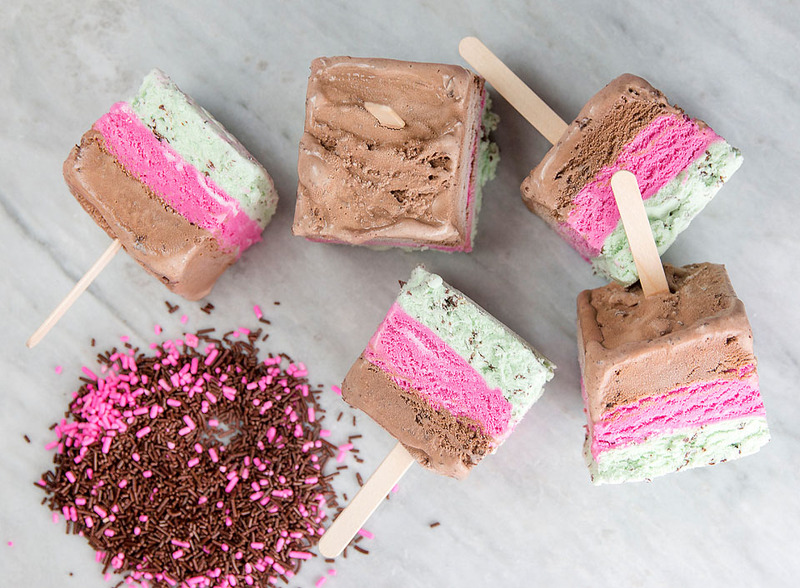 Summer is all about trying to stay cool, and ice cream is the perfect treat or dessert for just that. 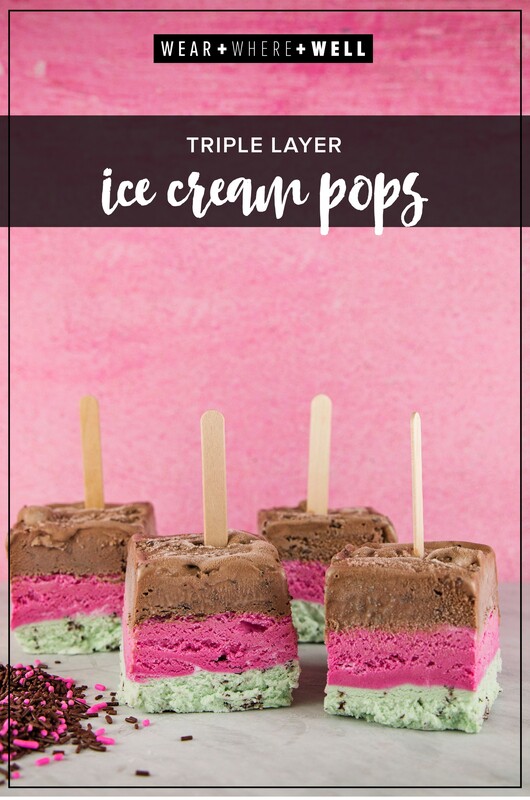 And instead of buying ice cream treats, you can make your own layered ice cream pops with all your favorite ice cream flavors. It’s certainly more fun than eating out of the bowl, too! 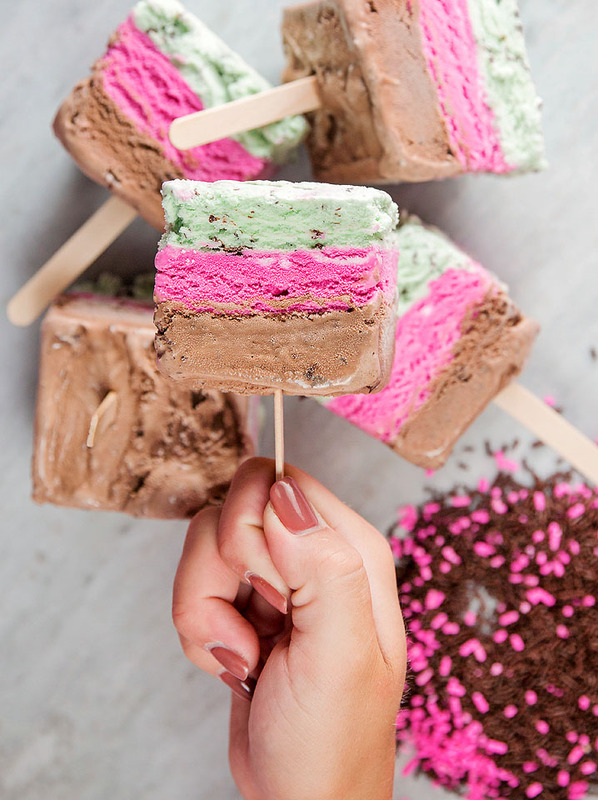 These treats are easy to make and twice as easy to eat! Make the squares small so that they are quick to eat and almost guilt free. 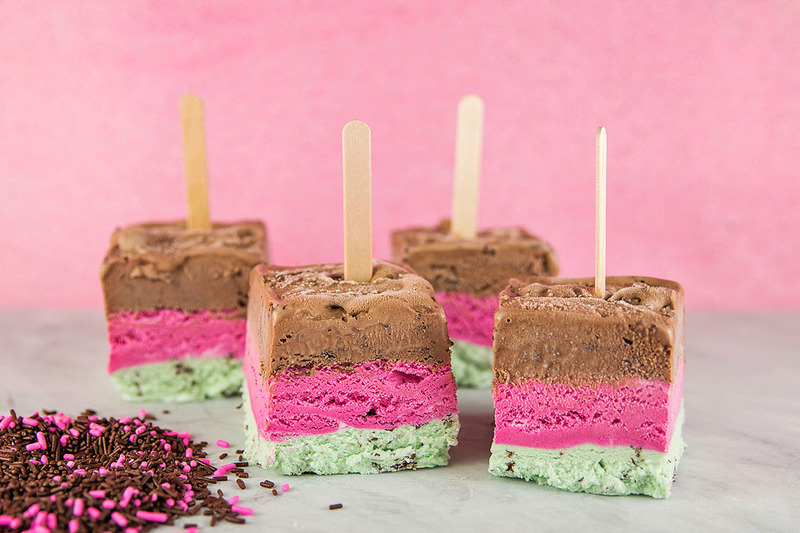 Any flavor and more layers can even be added to create your custom ice cream dessert. For that extra special touch, add sprinkles to the top layer before freezing. If not eating right away, store in a freezer safe container. 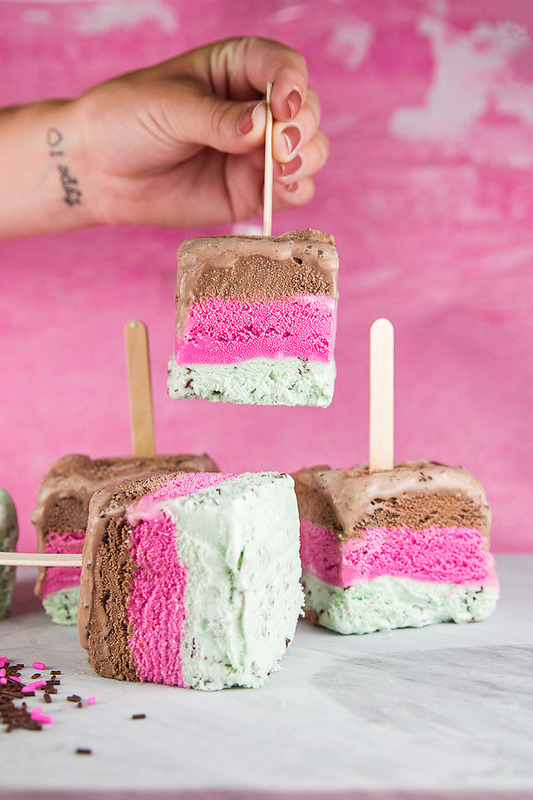 Ice cream pops are ideal for any summertime party. And the best thing is there is very little mess and no dishes or spoons to clean up! What’s your favorite flavor of ice cream? 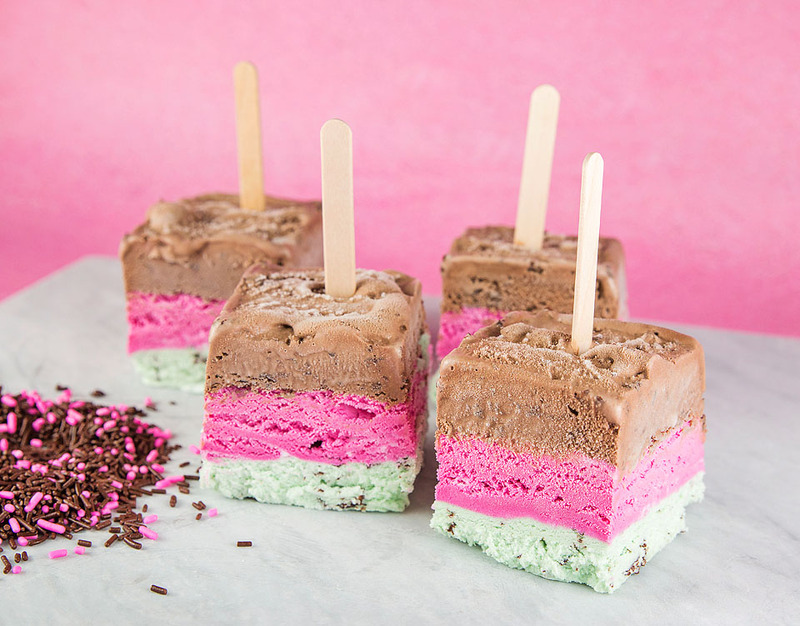 If you love it as much as we do, make sure to check out my recipe for ice cream sandwiches, strawberry cheesecake ice cream, and our Houston Ice Cream Guide. It’s pretty clear we love ice cream over here! Enjoy the rest of your day and we’ll see you back here tomorrow! Perfect pops for this hot day! Delicious!